Jewelery needs to be removed and if you are wearing a high neckline, you will be given a spa robe to change into (otherwise a towel will be used to protect your clothing). The muscle-stimulation portion of the treatment takes a little over half an hour. During the early sessions you may not feel the current. However as you progress during your course, you will experience a tingling sensation at the higher levels. After the muscle lifting portion of the treatment, concentrated product will be introduced to your skin with the aid of ionization, which encourages deep penetration of active ingredients. A finishing cream is applied to end the treatment. Yes – The treatments are non-invasive and completely safe. No – A mild tingling may be felt. Most clients find the procedure relaxing. This depends on the individual and will be determined during your initial consultation, but generally a course of 12 sessions is recommended. Two sessions are scheduled per week, although some clients start with three sessions a week for the first two weeks. Yes – Micro-current will compliment other cosmetic procedures and enhance their results. During procedure, your esthetician will use radio frequency to precisely heat the skin’s inner layer (dermis). Following treatment, you can immediately resume all routine activities. You may notice slight redness, which should disappear in less than 24 hours. 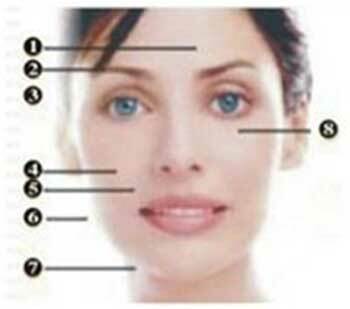 To achieve good results, a package of eight to ten treatments in a week intervals is required. Your skin will be smoother, firmer, and tighter immediately after your treatment. You may also notice some contouring effects which will begin enhancing the shape of your face, abdomen, and thighs. After the procedure, you should continue to see improvements to your skin, as a result of the production of new and increased collagen, as well as some additional contouring effects due to continued tightening over time. Results vary depending on age and skin condition. Immediate results are usually visible and improve over time. Measurable tightening and contouring improvements appear gradually over a two to six month time period following treatment sessions. Your esthetician will determine the course of treatment that is right for you, based on your needs and goals. Ultrasonic cavitation is not a method to loose weight but to shape the body. It is particularly indicated to reduce adipose panniculopathy, the so-called “fat cushions” in case these won’t go away with diets and exercise. The body eliminates fat in 72 hours, so between two session 4 days should pass.